Strelna, Off St. Petersburg, Sept 6: The fireworks weren’t all celebratory. Under the canopy of spectacular starbursts that lit up the darkened skies last night, world leaders sat rigid and divided down the long table over Syria at the gilded Peterhof Palace. Tableau artistes staged vivacious song and dance, but the tremors of war rumbled underfoot; an elaborate dinner lay served, but host and guests alike picked on differences rather than delicacies. The world was pushing patience and consensus, the United States remained unmoved of adopted aggression, saying it could barely wait to strike. When Russian President Vladimir Putin invited UN Secretary General Ban Ki Moon to the lectern, the G 20 assembly could foretell what was to come: a plea to await evidence on the use of chemical gas by the Assad regime, an appeal to build consensus. UN scientists, Ban Ki Moon said, would produce their conclusions on the Syrian gassing “within a matter of days”; the world should proceed with caution and consensus on the way ahead. But for the Americans, the case is already made, the evidence conclusive, the culprit identified — the Assad regime has used chemical weapons and that constitutes a security threat we cannot countenance. Defeated at home by anti-war sentiment in the House of Commons, British Prime Minister David Cameron continued to wave an individual flag for Washington. He regretted the Parliamentary rebuff to his push for military action and blamed his MPs for “failing to act against the gassing of children”. Deputy chairman of the Planning Commission Montek Singh Ahluwalia, who was briefly at the summit dinner, conveyed to journalists the Indian position and the UN Secretary General’s case, but declined any elaboration on differences saying he would rather not speak for other nations. The BRICS nations and the European Union too have joined the anti-strike advocacy. Part of their concerns are guided by the adverse consequences of unilateral US militarism, part of it also stems from economic worries. A military strike, and its unpredictable spillover, could well push up global oil and gas prices and worsen the economic downturn. But it remains moot if any of that will impact the US decision. There is little thus far in Strelna that would suggest the Americans have been moved to reconsider their stated determination to conduct disciplinary missile strikes. For all their sparkle, the fireworks over the Peterhof Palace, summer residence of the bygone czars, may have brought little cheer to the G 20 table. The US brought the tremors of a distant war to this picturesque Baltic islet this today and Indian sails lay a little knocked of wind as New Delhi’s effort to build consensus with BRICS leaders against US liquidity withdrawals floundered. Three BRICS nations — Russia, China and South Africa — virtually vacated India’s concerns on adverse spillover effects of the US economic policies saying the problems were for New Delhi to handle, not for the collective. War rumbles are new to the G 20 forum, purely economic of makeup, but with Obama and Putin stepping onto the same stage, it was bound to shake. Bilateral atmospherics have been tense coming into this summit. The US underlined Obama did not intend meeting Putin one-on-one on the sidelines, an almost routine event at such multilaterals. The Russians made it clear they were going to leverage their status as the G 20 hosts to signpost their opposition to US brinkmanship over Syria. The only significant sideline that did unfold today was a mini-summit of BRICS leaders, where India failed to rally support for its call to restraint on capital flow volatility triggered mainly by the US. India claimed that BRICS leaders had “reiterated concerns expressed at the Durban Summit in March regarding the unintended negative spillovers of unconventional monetary policies of certain developed economies”. The claim found no consonance in individual statements emerging from leaders of some other BRICS member states, who seemed to be saying that India’s economic difficulties were essentially her own and she should take steps to tackle them. The Russian Deputy Finance Minister Sergei Storchak appeared to brush aside the Indian effort to rally consensus saying the issues raised amounted to “individual problems not concerning BRICS as a whole.” The South African finance minister Pravin Gordhan, was downright dismissive: “We don’t know what the proposal is, this is India’s initiative to resolve India’s issues,” he was quoted as saying. Global economic corrections in the part of developed nations isn’t a battle he is giving up on easily. His intended audience, though, may be engrossed on the grim prospect of a more immediate battle. 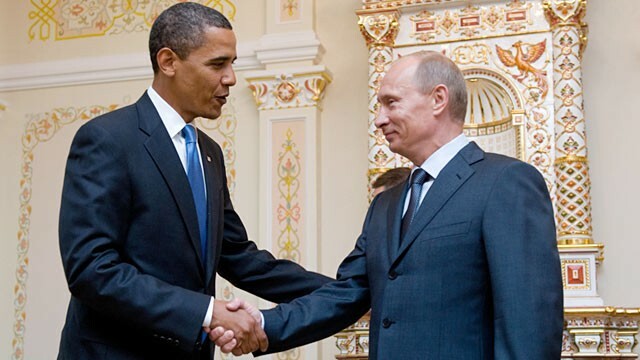 It is unlikely Obama and Putin will part from Strelna agreed on Syria. 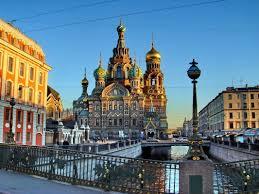 St. Petersburg, Sept 4: Here we are for a high-table summit on the chilly sidelines of Syria, nosed into a toxic cumulus of war dragged to economic summitry. Up by the Baltic to mend global purse holes, but riveted on the pirouette of hostilities 3000 miles south in the Middle East that could blow those holes bigger. Chance would be a fine thing if the G20 stage, set up at the offshore palace isle of Strelna, isn’t bleached by the eyeball-to-eyeball between host Vladimir Putin of Russia and the most powerful of his arriving guests, US President Barack Obama. A dare flames away between the two; Obama bent on a disciplinary strike on Damascus, Putin girded to prevent that happening. There’s more that strains the two men than just the causes and consequences of the deathly spew of sarin gas in Syria. There is also the ice over a certain Mr Edward Snowden, spy turned whistleblower who the US wants for national security offences and who Russia has provided shelter and protection. 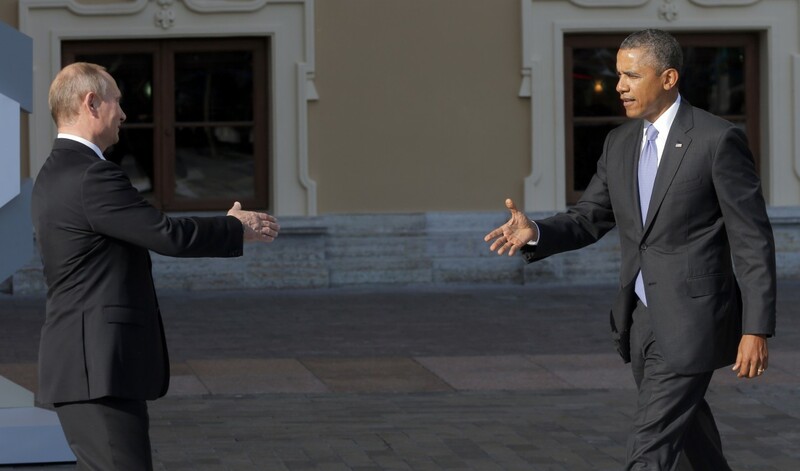 Obama scrapped a scheduled state visit to Moscow last month, enraged over Putin’s hospitality to the American absconder; he’s come to St Petersburg only because it’s a multilateral. Never mind that poor bilateral atmospherics between the Cold War Big Two could sour it for the rest of the conference table. Decoded, “unconventional monetary policies pursued by the developed world” essentially means huge capital withdrawals by the United States into its own economy and markets. So, though the Prime Minister and his government chose not to collar Washington by name, plaint and plea both addressed to the Obama administration: follow your recovery path, but don’t push us back in the process. Prime Minister Singh referred to “several reform measures to stabilize the rupee and create an investor-friendly environment” but sought a “stable and supportive external environment” to sustain the Indian effort. Economic Affairs secretary Arvind Mayaram, who spoke to journalists en route to St Petersburg, also flagged Indian concerns over the “spillover impact” of substantive capital withdrawals by the US. “We hope to raise the issue with other nations at the summit and arrive at a consensus on matters such as enhancing the resource base for emerging economies and underlining the need for infrastructure investment to impact growth impulses,” Mayaram said. Two areas seemed to trouble him: the likelihood of a spurt in international oil prices, and the liquidity pullout by developed nations. “We have to raise this concern strongly and I do not believe that if our voices are strong we will not be heard,” Mayaram said. Brave words from a finance man speaking on the back of a shaky Rupee, plunging markets and spiraling prices. But we were 40,000 feet up in rarefied air aboard AI 1 when Mayaram proclaimed the prospects on Indian economy robust and raring for leap. Loftiness probably comes easy at such heights. 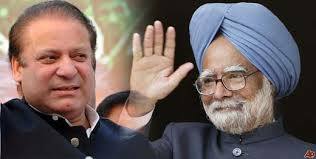 New Delhi, Sept 3: Prime Minsiter Manmohan Singh has signalled a sabbatical from a long season of domestic picket-fencing and is set to swivel focus on foreign policy ventures whose centrepiece remains the elusive search for a trust breakthrough with Pakistan. Cleaving off from the extended, and often turbulent, monsoon session of Parliament, Singh is set to take a recess from public engagement on domestic disquiet over a range of issues from corruption to the economic slide, leaving the battling for his party and ministerial colleagues to do.